Browsing (CFUW Book Sale, Wolfville). 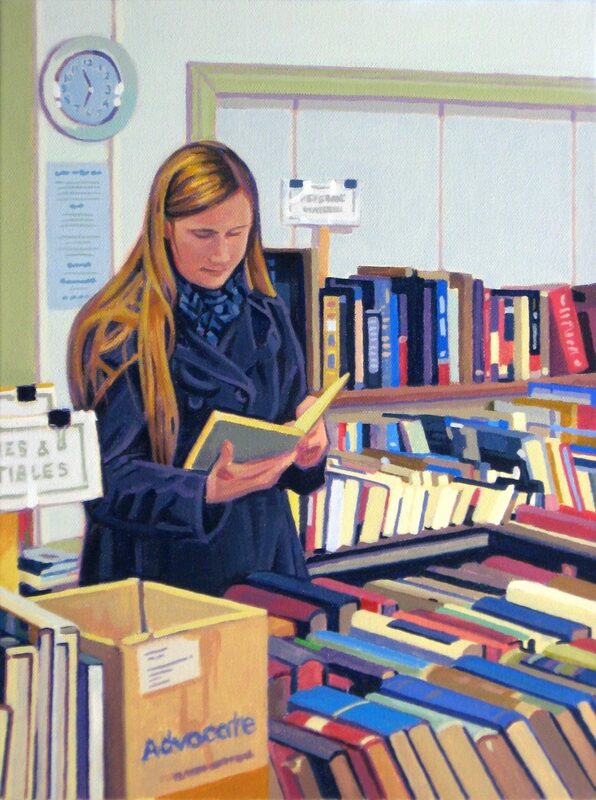 Ron Lightburn has generously donated Browsing (acrylic on stretched canvas, 16″ x 12) to the CFUW, and it will be one of the prizes drawn at the end of the sale. Prizes also include two gift certificates from The Odd Book and a painting by CFUW member Gerri Robertson. The CFUW’s Annual Book Sale is happening Friday March 29, 8:30am-9:00pm and Saturday March 30, 8:30am-3:00pm at the Wolfville Lions Club Community Hall, 36 Elm Avenue.